Posted by letsdrinkon in At Your Service REWARDS, Baltimore, Baltimore Ravens, Bars, Baseball, Dining - Restaurants, EAT. PLAY. LIVE., Lawfully IMBIBE, Leisure, Let's Drink On, Lifestyle, Maryland, Preferred Partners, Signature Cocktails, Work. Life. Balance. 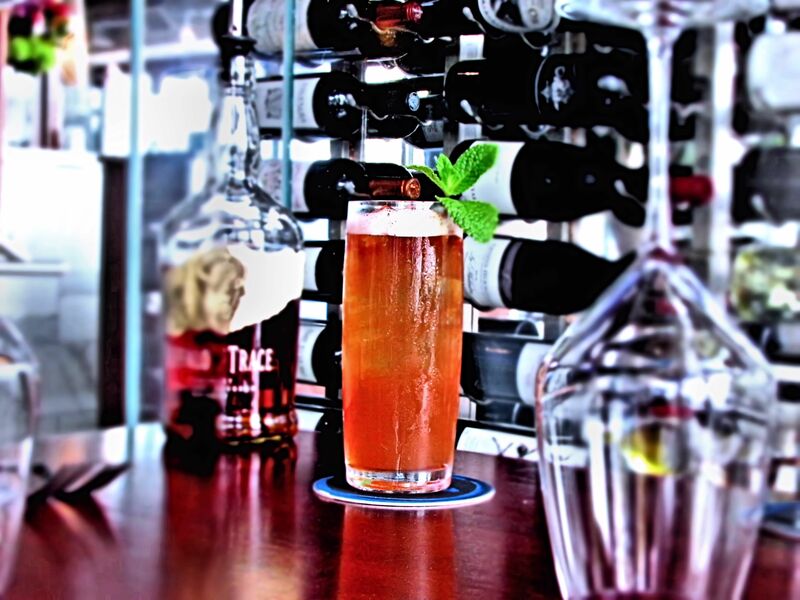 This cocktail can best be described as a blend of seasonal flavors in which mint, caramel apple, and vanilla prevail. I would have to say this is a great fall cocktail. Ouzo Bay is located in Harbor East, which is a great little area of shops, restaurants and hotels. Ouzo Bay specializes in Greek cuisine and an assortment of signature cocktails that should suit everyone’s taste. They go that extra mile by serving a complimentary after dinner cocktail. William Escalante is the head bartender at Ouzo Bay and obviously enjoys his trade by adding a little flair to his service. This is not the first time we have seen Will behind the bar – he has also participated in a wonderful event for Cystic Fibrosis called Rye’s Up Against Cystic Fibrosis. 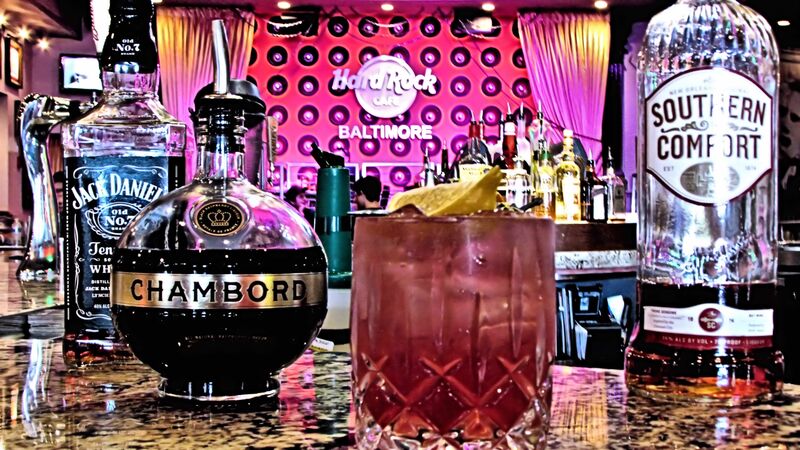 This event has some of the finest bartenders in Baltimore, so you know you are pretty much guaranteed a great cocktail from William. 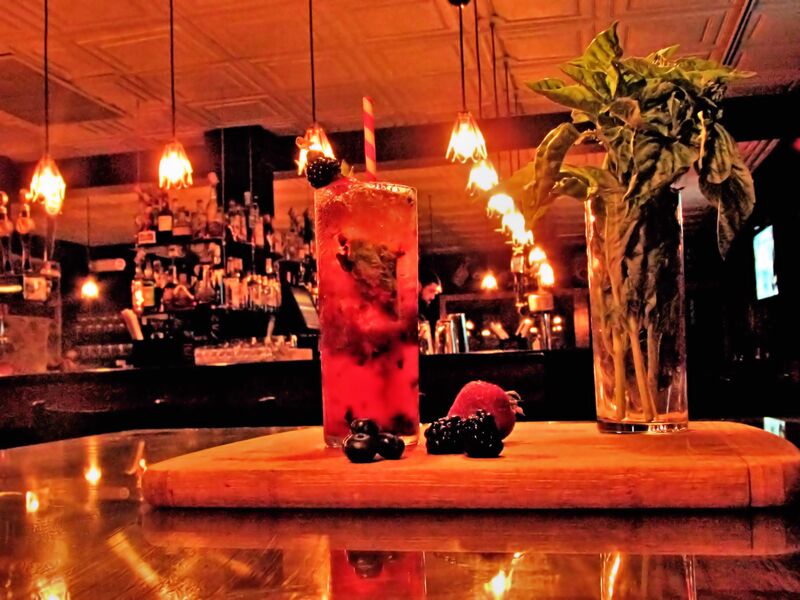 Posted by letsdrinkon in At Your Service REWARDS, Baltimore, Baltimore Ravens, Bars, Dining - Restaurants, EAT. PLAY. LIVE., Lawfully IMBIBE, Leisure, Let's Drink On, Lifestyle, Maryland, Merriment, Party On, Preferred Partners, Signature Cocktails, Work. Life. Balance. Add two or three leaves of basil to shaker. Add the .75 oz. of vodka. The .75 oz. of tequila. The .5 oz. of Chartreuse. The 1 oz. of mezcal. Then muddle to get all of the flavor out of the basil. To add some sweetness add a teaspoon of honey. Shake first without ice to prevent the honey from freezing. Then add ice and shake. Empty ice from glass and pour cocktail into the glass. Bread & Circuses is located in Towson, MD. Towson is the proud home of The Towson Tigers of Towson University. Towson University just received national recognition on American Ninja Warrior with Kacy Catanzaro, a graduate and former gymnast of Towson University. Bread & Circuses is one of the many establishments that cater to the Towson students. So Bread & Circuses is a breath of fresh air in Towson, since it doesn’t serve chicken wings and mozzarella sticks. 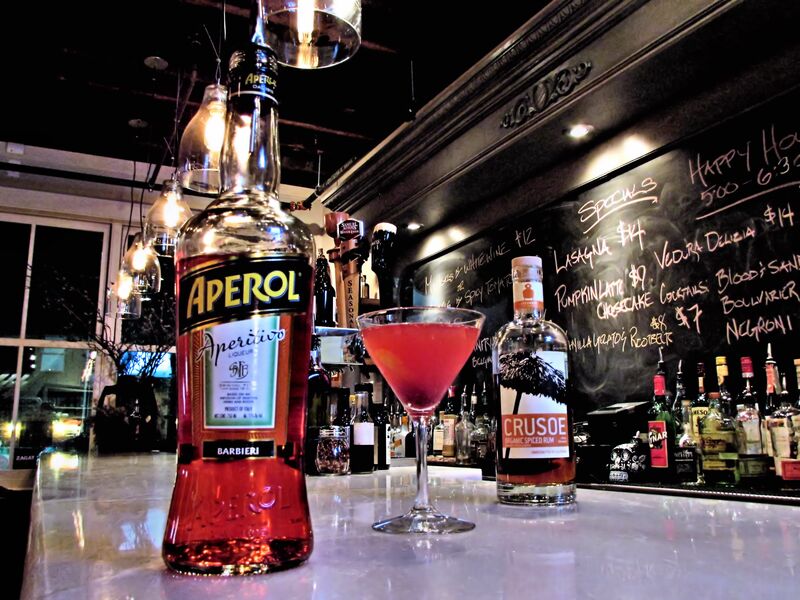 Bread & Circuses has an extensive list of signature cocktails and if you like Scotch, you will love their selection. “The Shaman”: even though there are many blends of alcohol in this cocktail, the alcohol is not overpowering. 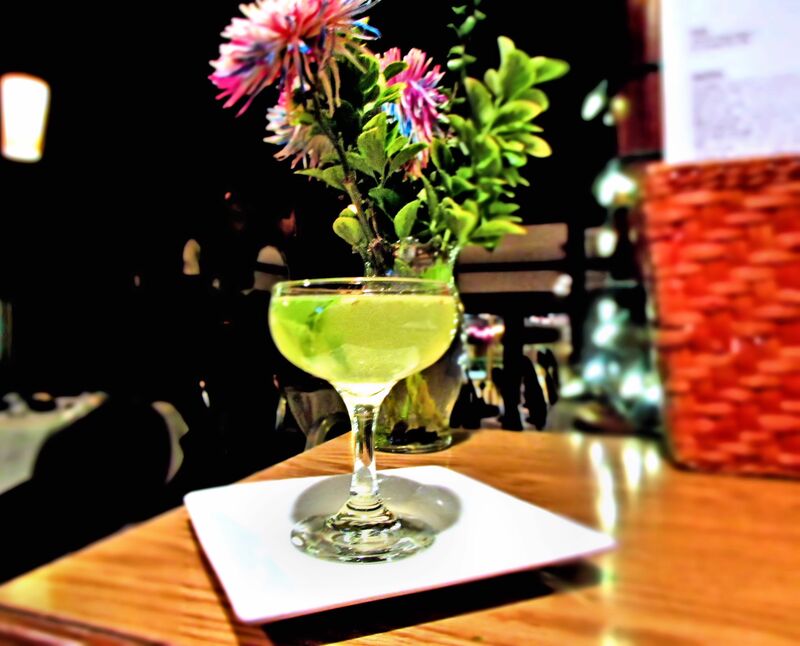 The blends of lime and basil muddled with the honey soften the taste of the alcohol. The cocktail has earthy and herbal flavors. It is a perfect cocktail for tequila lovers. Maya Mehta has been bartending at Bread and Circuses for three years. Unfortunately for us she is taking a hiatus from her bartending career. Maya is volunteering her time in the Fiji Islands to teach children. We wish her well! In what has been recently a yearly matchup, the Ravens will play host to the Patriots this Sunday (4:25pm CBS). I say “yearly” as the scheduling rules have allowed both teams to continue facing each other, along with during the playoffs as well. The schedule rules state that each team will play every division in the NFL at least once every 4 years, and that the particular home field will alternate in proceeding matchups. Also, every division will play every other division in its conference at least once every 3 years. This year, the whole AFC North played the whole AFC East. However, last year the Ravens also played the Patriots, but that was owing to the other rule that fills the rest of the schedule. That rule is that a team will play 2 teams from the other divisions in their conference that matched the same finish (1st-4th) the previous season. As the Ravens and Patriots both won their prospective divisions in 2011, they played each other in 2012. This is the same as when they faced each other in the 2009 regular season, this was because they both finished 2nd in 2008. This is in jeopardy of continuing next season, as both teams have yet to qualify for the playoffs and may impact each other’s standings. The Ravens are in a great position to get to the playoffs as long as they win the next two games. The best case scenario is that they end up 10-6 and grab the 2nd playoff seed. The worst case is, of course, finishing 8-8 and missing the postseason. What seemed impossible a month ago is becoming a real possibility for the Ravens to qualify for the playoffs a sixth year in a row! Before their current 4 game win streak, they were 4-6 and around 10th in the AFC standings (out of 16 teams). Of course, parity is quite prevalent in the NFL and some teams who were sure locks have lost quite a bit and look mortal now. For example, the Indianapolis Colts were riding high, having won high profile games against the Seahawks & Broncos (the two top teams according to most people, as well as by standings) and close to winning the division very early on. Since then (after an injury to Reggie Wayne), they’ve endured a 3-3 streak that has knocked them down to a 4th seed. If the Titans, Texans, or Jaguars had won more, the division wouldn’t have been already awarded to the Colts. If the Colts continue their losing trend, which they could do in a way to rest for the postseason which they already qualify for, they will allow three teams to finish with higher seeds. There are so many different possibilities for how the postseason schedule will be determined owing to the next two weeks of games. The Dolphins still have a chance to win their division. The Ravens, as mentioned before, can still win their division as well, which would be accomplished with 100% certainty with wins in their remaining 2 games. Even the Bengals or Patriots, both at times had records around 9-2, could end up missing the playoffs even after such good seasons. I’ve been seeing a larger number of articles for this upcoming game (partly due to ESPN having a Boston-team section) than normal. The beat writers for the Patriots are very concerned about this game, and, surprisingly, their fans aren’t too cocky about their chances to win. It’s an amazing turn of events in which the Ravens have scared Patriots fans enough to have them doubt their team’s performance. This should be yet another exciting game, as the Ravens have shown the last couple of years (and especially the last few weeks!) to keep games close & interesting. Soon, all Ravens games will have to have a warning for people with heart conditions to advise caution when watching the 4th quarter. In any rate, we’ll see another hard fought match between the two bullies of the AFC and hope that the Ravens have more tricks up their sleeve to pull out a win. Enjoy the game, happy holidays, and go Ravens! P.S. If you’re going to the game, make sure to not overdress, as Sunday’s high will be around 70 degrees on the 2nd official day of Winter! Posted by sportsupdatebyconciergewill in Baltimore, Baltimore Ravens, EAT. PLAY. LIVE., NFL, Thanksgiving Day, Work. Life. Balance. All black jerseys this Thursday! Oh boy, do we have a big match up this Thursday! The Ravens will face off against their ol’ rivals, the Steelers, in what will likely shape both of their playoff chances for the rest of the year. It’s like an elimination kind of game. Both teams will enter the game with identical 5-6 records, and they are tied with 4 additional teams that are also 5-6. All 6 teams are currently contending for the 6th and final playoff seeding. Some teams need the seeding more than others. The San Diego Chargers, for example, are behind both Baltimore & Pittsburgh in the playoff standings (both of whom are also behind the current leader). The Chargers just happen to be in the same division as Kansas City and Denver, who both have 9-2 records. Its very unlikely that Philip Rivers & the Chargers can overcome two teams with 4 game leads (with 5 games left!) to win the division. Their only realistic shot is a wild card spot. The Tennessee Titans, currently holders of the 6th playoff seed, could still win their division. With the Indianapolis Colts starting to look more vulnerable after losing valuable starters, Indy’s 2 game division lead doesn’t look to assured. Especially when you consider the two will play each other this Sunday. The only other 5-6 team in the hunt is the same team the Ravens dominated on Sunday. The Jets are technically still in the playoff race, but then again so are the Browns, Bills, and Raiders at 4-7 each. It would take way too many scenarios to fall certain ways for those teams to have a shot at the playoffs. Then again, stranger things have happened. The best chance the Ravens have for the playoffs is to simply win the rest of their games and see what happens. If anything, they could still catch up to the Bengals, who are clinging to a 2 game division lead. However, Pitt also wants to catch up to the Bengals and Cinci will have to play both of them in the last three weeks. Also the Bengals will face the Colts & Chargers during the next two weeks, who of course are still in the playoff hunt. Cincinnati could very well lose all four of those games as anything could happen. For one, the game will be at M&T Bank stadium, where the Ravens have the 3rd best home record since 2008, and its the 2nd of 3 straight home games. The Steelers have actually won 2 of the last 3 matchups in Baltimore (while the Ravens did have that 3 game win streak in Pittsburgh that was ended this year). However, there is the big intangible surrounding the game: timing. Teams who play on Thursday at home tend to have a better advantage as they have had more time off. The Ravens have some time off between the end of Sunday’s game (approx 4:15pm) and 8:30pm on Thursday. The Steelers, however, have similar time allowances except they also have to take out time for travel and less practice time. There is a reason why football teams generally play once a week: its physically draining. So for a team to play on the road with three days rest in between games, the challenge is more difficult for winning a game. Also, if you’ve been following the weather forecasts, the Pittsburgh area has had snow warnings while the Ravens have enjoyed the more favorable rain. Snow could play a factor in how much time is devoted for travel between Pittsburgh and Baltimore, and that can affect the Steelers’ play on Thursday. Also who knows, maybe for some reason some of the Pitt players will gorge themselves on Turkey right before the game and that would just tire them out. 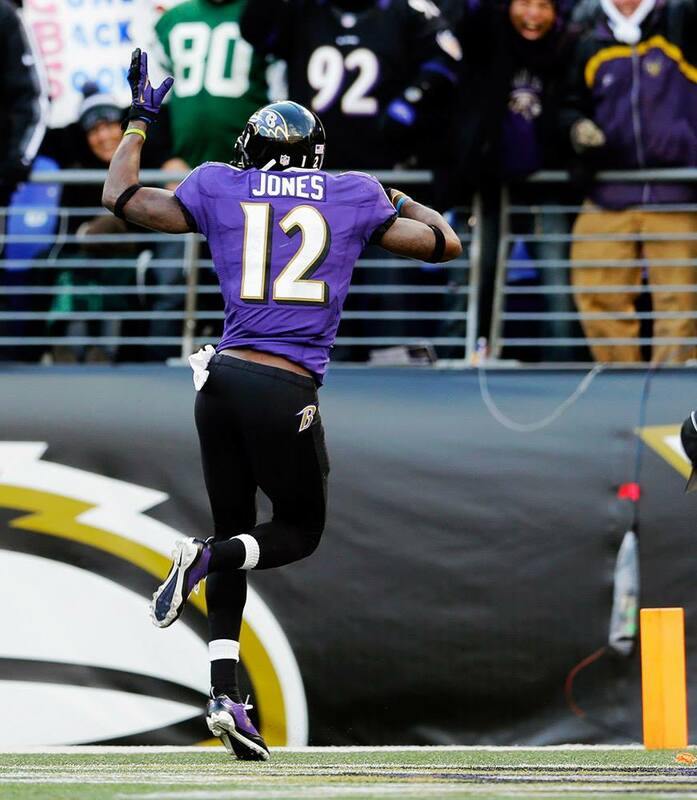 Then again, they could get just as tired out as they would be chasing Jacoby Jones running into the endzone. Another 60+ yard TD in the mix? Whatever happens on Thursday, just make sure to have a great Thanksgiving with family and friends. Good luck to you all as well as the Ravens! Something jumped out at me that I never considered before. This involves more than just this Sunday’s game. There was that awful loss in Detroit back in 2005 in which the Ravens were 1 penalty away from tying the record for most penalties on a team in a game. One of the most frustrating experiences ever, to see flags come after almost every snap, which in turn angered our players and drew even more penalties (and two ejections)! Don’t worry though, the Ravens got their revenge in 2009. Also, you can’t forget that heartbreaking loss in Minnesota 4 years ago, which led to Hauschka being let go after he missed a field goal for the win. The Ravens had fought all the way back to take the lead, were down 2 points with 2 seconds left, and Hauschka EASILY misses wide a 44 yard field goal. He had cost us some games earlier that season, but that was the last straw and led to the signing of Billy Cundiff. Also, the Ravens are currently 0-2 in Chicago, but are 2-1 in the last three matchups, last one being the 31-7 beating in which Flacco had 4 TDs and no INTs. In that game, the Ravens also gave Jay Cutler a career worst passer rating. This Sunday, Cutler can’t play so Josh McCown gets the start. McCown is a 34 year old quarterback with a career full of inadequacy. Josh has played for 7 NFL teams and 1 UFL team. His younger brother, Luke, isn’t any better and has followed a similar career path, where he has played for 6 NFL teams. They’re an odd set of football brothers, where both have become career backups and Josh has been in the league for 11 seasons (9 for Luke). Still, neither have obtained much more than second string status. For some strange reason, Josh has been traded for and signed many times and shows promise in the handful of games he plays in, but rarely enough to win. His stays on teams have been as long as 3+ years and as low as 17 days. He hasn’t been a regular starter in a season since 2004! Judging by an article I saw earlier this week involving this game, Josh has only won games against other backup quarterbacks. The only exception is on win against Jay Cutler, who he coincidentally backing up now. So for all the quirky records that the Ravens have encountered and defeated (for good and bad), this winless record at NFC North teams is quite a weird one. Nevertheless, the Ravens should still approach the Bears with caution (as one must do against real bears, of course). For one, the Ravens’ special teams, while not as bad as the previous few years, is still kind of bad. So facing a Bears team who for years gets their wins by weird lucky plays, they should expect (and plan for) the unexpected. Much of their past success in that department comes from their infamous punt/kick returner Devin Hester. The Ravens need to plan for any of his trickery and speed. While the Bears’ defense is lacking in many categories, plus with injuries affecting it, who’s to say the defense will in fact let the Ravens run all over it? That defense is currently 31st in run defense and has been allowing a lot of success to running backs lately. Then again, they need to shore up their defense and what better way of gaining confidence than stopping Ray Rice & Bernard Pierce? Our guys are also thinking of gaining confidence by hoping to have a big running day over the Bears. This is a big game for both teams. For the Ravens, they need to keep pace in the AFC North after taking care of the Bengals last week. If the Browns beat the Bengals on Sunday, the Ravens would like to join the crowded race for the division title which will be much tighter. For the Bears, they realize that with Rodgers out for the Packers indefinitely, they can up their standing in their division. With Cutler out, they realize that they have to try to stay competitive and not let the Lions run away with the division. What was once a three way tie atop the division two weeks ago could turn into a 2+ game lead for the Lions after Sunday. It all comes down to who wants it more. Best of luck to the Ravens in Chicago (1:00pm CBS) – bring us back a W! The Season is Still Young and the Ravens are Still in Great Shape!